During our many years of serving families at the original Acton Academy campus, we have had the honor of witnessing how this revolutionary model of education changes lives in the most profound ways. Between us, we have worked at Acton Academy for eleven years, several of which have been spent working as a team. In that time we have developed a balanced partnership, applying our unique skill sets and experiences to help empower young heroes who consistently defy expectations and reinspire us on a daily basis. We have both found our callings as Socratic Guides, believing deeply that young people should have agency in their learning and that they are to be trusted and respected. Our mission in spreading this model and starting a campus in Central Austin, is to equip more young people in Texas with the skills they need to seek meaning in their lives, to become independent learners, and to become globally-minded critical thinkers. Acton is an idea so powerful that it has permeated well beyond the original campus. There are now 100 locations around the globe, encouraging all who have participated to say “yes” to the calling of a Hero’s Journey and to fully engage with this unique educational philosophy. Our wonderful city is always growing and evolving to meet the demands of modern society. In keeping with the virtues of our community, we too will meet the ever changing demands of our city with more opportunity. We are honored to fill this growing need. 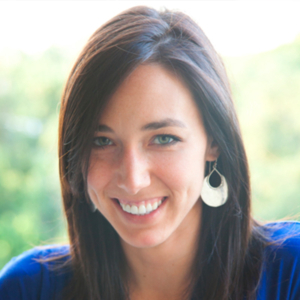 Samantha Jansky joined Acton Academy as a Socratic guide in 2012, just a few years after its inception. Leading the Elementary school for 4 years, Samantha created systems that further empowered young heroes in a truly learner-driven environment. She then moved on to specializing in Learning Design Creation (curriculum) and wrote and published the entire Elementary School Learning Design used by the world-wide Acton network of over 100 schools. Samantha’s ultimate goal has always been to serve others and she has done so in the public, private, and non-profit spheres. She raised over $3 million to build primary and vocational schools in Haiti, ran a local campaign in Colorado, and was on the ground level of a health and wellness start-up in Santa Monica. Samantha graduated with honors in International Relations from the University of Denver and studied French and political science at L’institut d’Etudes Politiques (ScienePo) in Rennes, France. 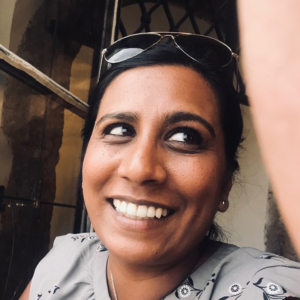 As a new mother, Samantha looks forward to rediscovering the wonders of the world through her daughter’s eyes and building a world-changing learning community working side by side with her long-time colleague and close friend, Janita Lavani. Samantha has been integral in learning the ins and outs of getting Ascent: An Acton Academy to meet the demands and expectations she hopes incoming Heroes will have. She has been a mentor for students and new guides alike across the Acton Academy Network. Janita Lavani joined Acton Academy in 2015 as a Socratic Guide. During her time at Acton, she streamlined and created systems to further empower young learners and wrote and published curriculum. With compassion and strong leadership, she successfully ran both the Elementary School and the Middle School as Lead Guide. Under her leadership, parents and students thrived. She is committed to guiding students, families, and the community through establishing strong connections. Her passion for serving and supporting others has inspired her to create opportunities for those around her. In 2008 she moved to India with her husband and their 6-month-old son to create a non-profit holistic health center with the purpose of facilitating health education and enhancing rural health practices. For two years she served as a curriculum writer for the Children’s Museum of Houston where she enhanced and transformed their after-school programs. She has been an educator for over a decade and hails from Chicago, which has molded her beliefs in equity, celebrating diversity, and developing partnerships not only through education but throughout life. She holds a degree in Education from the University of Illinois. Her experience in the tradition system highlighted what Janita firmly believes: that success is based in learning from failures. Janita is a wife and mother who deeply understands the challenges and rewards of parenting a self-driven learner.